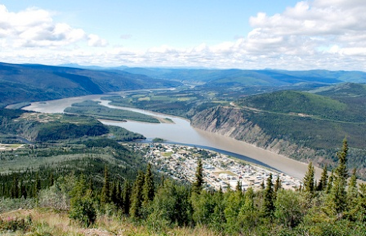 Whitehorse is a vibrant little city of about 25,000, located in the boreal forest of Northern Canada with the Yukon River flowing right through town. 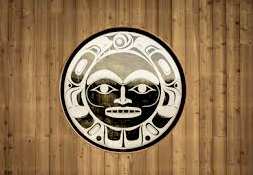 It is also the traditional territory of Kwanlin Dün and Ta'anKwach'an First Nations. It is a city with a rich cultural heritage and amenities normally only found in much larger centers. And, it is also a city with wilderness stretching in every direction. The meeting venue is the Cultural Centre of the Kwanlin Dün First Nation. Yukon First Nations folks will share their cultural insight about their traditional territories and wild pedagogies. This site was chosen because it locates the colloquium at the intersection of cultural issues and wild places. Participants will be immersed in a culturally sensitive location that happens to be beautifully situated on the banks of the Yukon River. The access is by road to the site of an abandoned community —Minto— on the banks of the Yukon River and is a 4-hour paddle to historic Ft. Selkirk. Minto is close to a four-hour drive north from Whitehorse. From here the river moves very quickly, though without technical difficulties. We can provide a paddling primer at the start, and our group should do fine by spreading paddling experience amongst those who have canoed less. The Yukon River moves away from the road at Minto. Fort Selkirk. 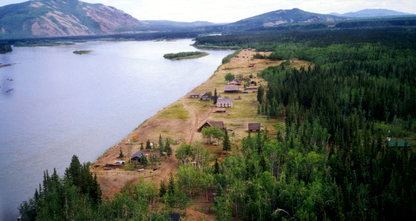 This is the historic site of a major settlement on the Yukon River in the era of water-based travel, before roads. It also represents a place where wilderness and cultures overlapped during European exploration and trade, and later the Klondike Gold Rush. As an isolated site, with water access only, it is a little visited, yet inspirational location for exploring the colloquium theme. Kirkman Creek. This is one of the last active homesteads left on the Yukon River. This campsite is chosen to stimulate conversations around alternate ways of living and interacting with the landscape, alternative economies, and the future of wild places. The hosts have a small bakery that may be able to provide some fresh supplies. Ancient Voices Wilderness Camp. This is a traditional First Nations camp and the last stop before Dawson City. We will camp here, have a traditional meal, and learn, from the proprietors about their perspectives on wilderness and wild pedagogies. Again, we will not just talk, but we will be actively immersed in this cultural site. And that immersion will inform our experience. This is an old gold rush town. While it has, over the years, been developed for tourism there is still quite “wild” feel to the place. There are also lots of interesting characters around and venues for a final day of activities. As time here is limited, we propose to book some small log cabins in the center of Dawson to accommodate folks for these final two nights.